Posted at 12:05 pm on December 7, 2012 by Sarah D.
It’s as if he is physically and mentally incapable of paying tribute to anyone other than himself. Utterly disgraceful. 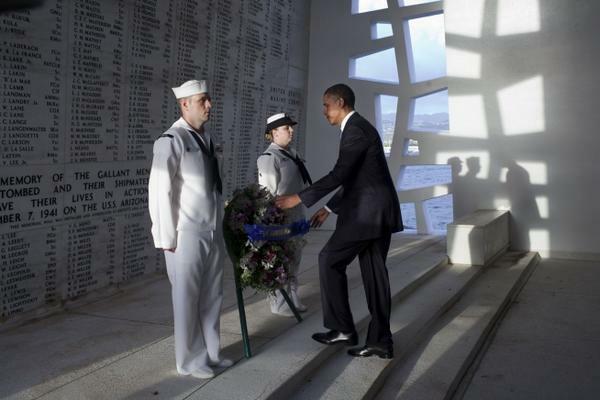 Barack Obama: A president whose narcissism will live in infamy. Obama has finally seen fit to acknowledge today’s significance with a tweet from his official account. Naturally, it’s a link to his presidential proclamation.